CHAUSSON MOTORHOMES GET AUTO`d !! Ford has launched it`s new automatic transmission for the Ford Transit and it’s a beauty !! Ford says it has identified a growing demand for Automatic Transmission, especially with Motorhome Owners. So It is now offering the six speed transaxle, that has been developed in North America and used on vehicles such as the Ford Taurus and Ford Explorer, on it`s front-wheel drive versions of the Ford Transit, which of course CHAUSSON Motorhomes have been using for several years now.. The six-speed transaxle has been at work in American Fords for a decade, and is renowned for its quick and smooth gearshifts. This is because it uses a fluid coupling (called the torque converter clutch design) rather than the traditional mechanical clutch. It is also very durable and has a torque capacity of more than 415Nm. For Transit applications, Ford has optimised the shift programme to get the most from the newly-developed 2-litre EcoBlue diesel, using early upshifts and the locking torque converter feature to maximise fuel economy. Ford hasn’t stated the official fuel economy figures, but anecdotally our customers are confirming impressive returns between late twenties and mid thirties. A number of intelligent features have also been introduced to make the new vehicles easier to drive. For example, the transmission can detect when the vehicle is on roads with steep gradients, or has heavy loads, and adjusts the shifting strategy for optimum performance. The adaptive learning feature allows the transmission to adapt its shift performance and how frequently it changes gears over the lifetime of the vehicle based on how the vehicle is driven. Plus the SelectShift facility allows the driver to manually change gears if they prefer. T C MOTORHOMES have long recognised this growing interest in Automatic Transmissions from its Motorhome Customers, and reflects this demand in its New Motorhome ordering. So, if it`s AUTOMATIC Transmission that you are looking for on your new Motorhome, look no further than T C Motorhomes, we have an excellent spread of New CHAUSSON MOTORHOMES with manual and AUTOMATIC Transmissions, from both our chassis providers, Fiat & Ford. For more information contact TC Motorhomes either by email: sales@tcmotorhomes.com or call us on 01227289111. They took the decision back in January to purchase the 640 from us. But with a protracted availability of this premium brand new Motorhome model, they decided to go off and tour various parts of the world first, using public transport wherever possible. The Chausson 640 is just 7 x metres in length and so is compact yet spacious inside, and can sleep up to 4 x persons. It has a large drop-down double bed and a full width washroom, and a large rear garage. Hamish & Heather will make good use of the garage, with plans to travel right down through Europe for weeks and maybe months on end, visiting many of the places they didn’t get chance to recently! 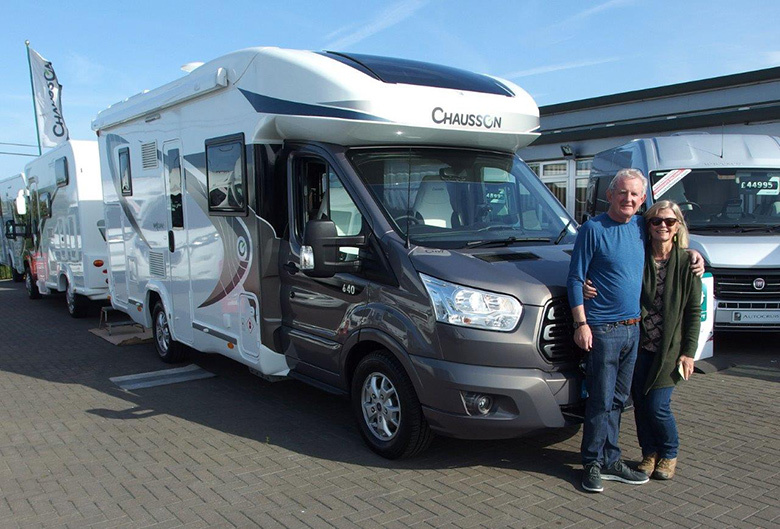 Shane Catterick and everyone at T C Motorhomes thanks them for their valued business, and wishes them both lots of fun with their new motorhoming adventure. TC Motorhomes are in position! and we are well set, with a magnificent selection of New & Used Motorhomes! Come and find us this weekend on stand 69 and get a great deal on a New or Used Motorhome. 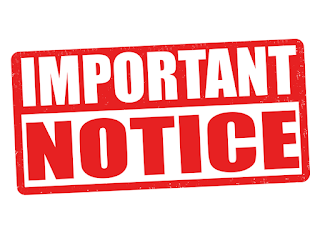 We will be closed this weekend. We will be Exhibiting all of our New and Used Motorhomes at the Summer Motorhome and Caravan Show at the Kent Show Ground in Deltling nr Maidstone. 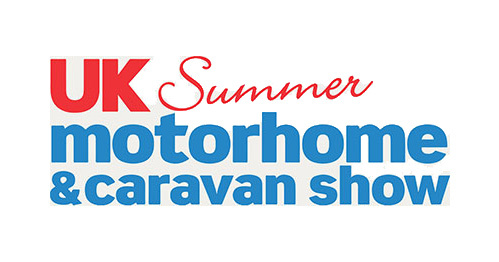 We will be at the Kent Show Ground, for the the Summer Motorhome Show on Friday 8th June, Saturday 9th June and Sunday 10th June. Come and visit us on Stand 69 for some great deals on our fabulous range of Motorhomes. 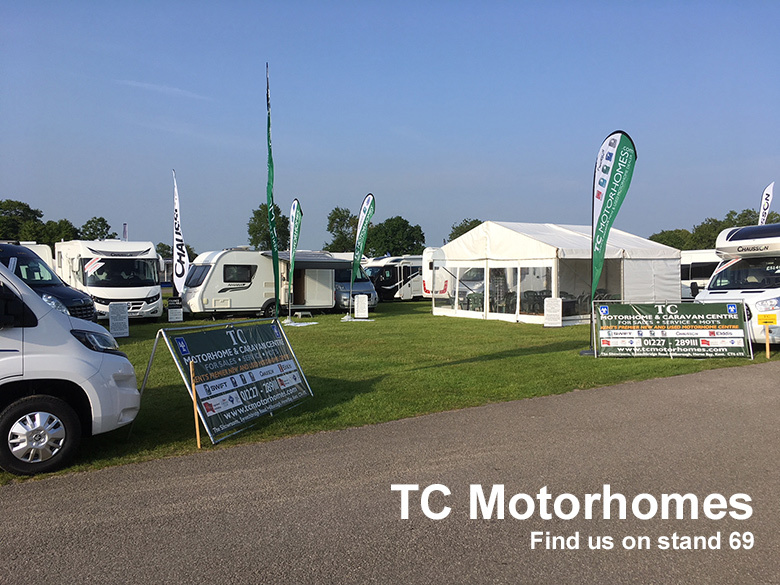 Visit TC MOTORHOMES on Stand Number 69 at the “UK Summer Motorhome & Caravan Show”, at the Kent County Showground at Detling Maidstone. On Friday 8th, Saturday 9th & Sunday 10th June, just over a weeks to go!! We`ll Have A Magnificent Selection Of New & Used Motorhomes On Display There ..
Take Advantage Of Some Great Discounts On Many New Selected Swift, Autocruise, Bessacarr, Elddis and Chausson Motorhomes.